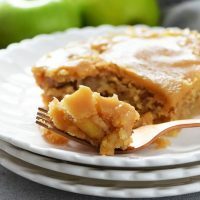 Fresh Apple Cake with Brown Sugar Glaze is a sugary sweet cake filled with fresh apples, pecans, and topped with buttery brown sugar decadence. 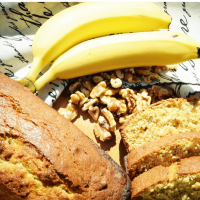 This simple cake is little slice of comfort just waiting to be devoured! 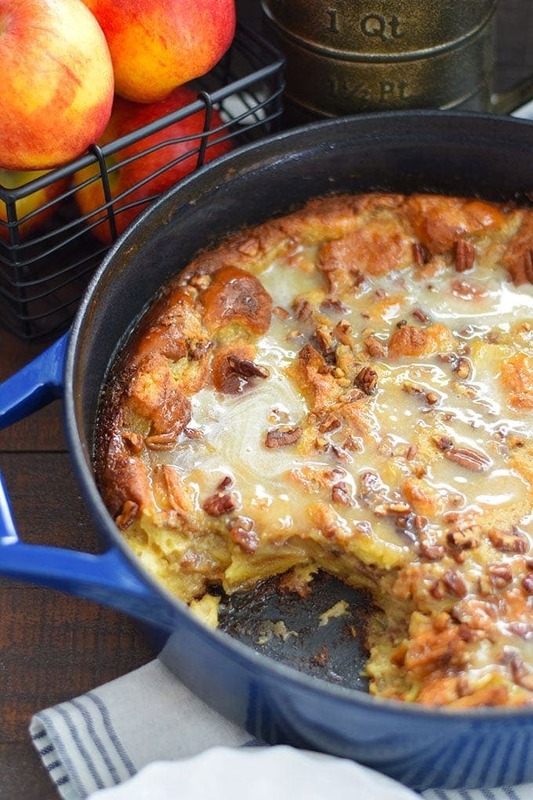 This Fresh Apple Cake is packed full of sugary goodness. Thanks to the wonderful folks at Imperial Sugar for providing me with all the sweets for Apple Week! Being a food blogger sure does require using lots of sugar, so I am so very thankful for the abundance they so graciously shared with me! And I have to say I have always been so impressed by the quality of the product. It’s always a perfect consistency and never clumps up (And that is so important y’all)! 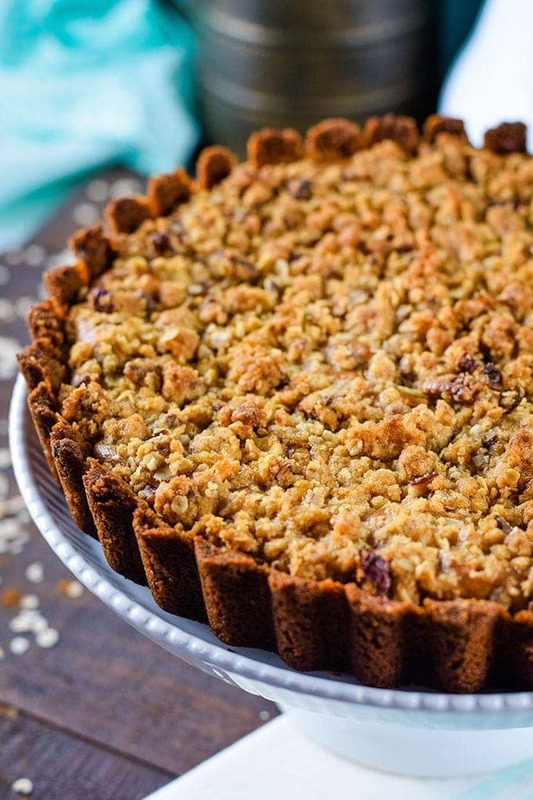 Just perfect for all this Southern Baking going on this week. 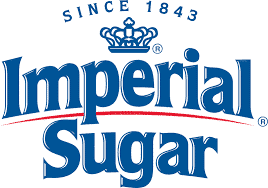 Make sure to visit Imperial Sugar on social channels and look for their wonderful products in your local stores! And speaking of sweet! I have to tell you about some of the wonderful people we have come to know and love through my daughter. You may have heard me talk about her going away to college. She has made her way to Mississippi via a friend that moved here to FL for a few years with her family and then moved back to her hometown. Well, that took my daughter there for spring break and summer visits to see her friend she missed so dearly. So when time to go to college came around she wanted to be with her bestie and some of the wonderful friends she had made. That led us to visits in Mississippi and meeting Marilese’s (Bri’s friend) grandparents, who generously opened their home to us! If you ever get a chance you want to visit (wink wink), because both Wayne and Barbara Carter are the SWEETEST friends, best cooks, and most hospitable people you will ever meet! Wayne had breakfast ready each morning and it was a feast! We also enjoyed long talks, laughs, sight-seeing, and family dinners with them. AND…. Barbara’s Fresh Apple Cake ! 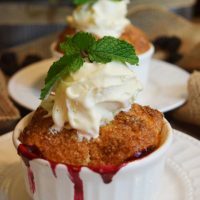 This is one of the recipes I had to bring home and share with you! There may be more in the future because they can cook! Step 1. Preheat your oven to 325 degrees. Spray a 9 X 13 baking dish with cooking spray. Step 2. 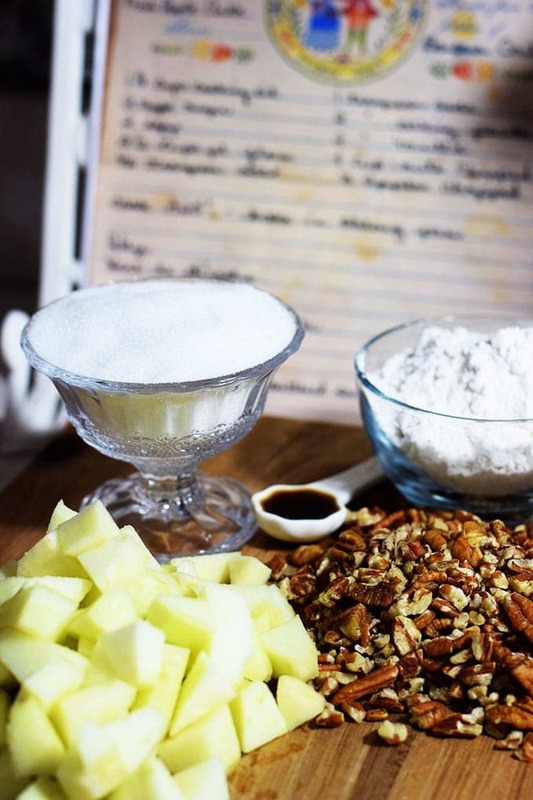 In a large bowl or stand mixer, mix oil and sugar until well combined. Add in eggs one at a time. Slowly add in self rising flour until combined and mix in vanilla. 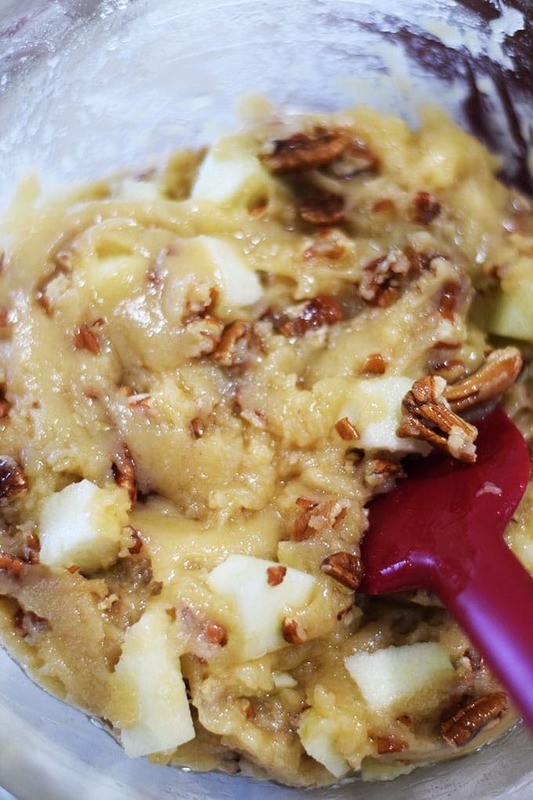 Fold in nuts and apples. The batter will be very thick. TIP for using All Purpose Flour: Mrs. Barbara makes this with self rising flour. But you can use all purpose flour if you do not have self rising. 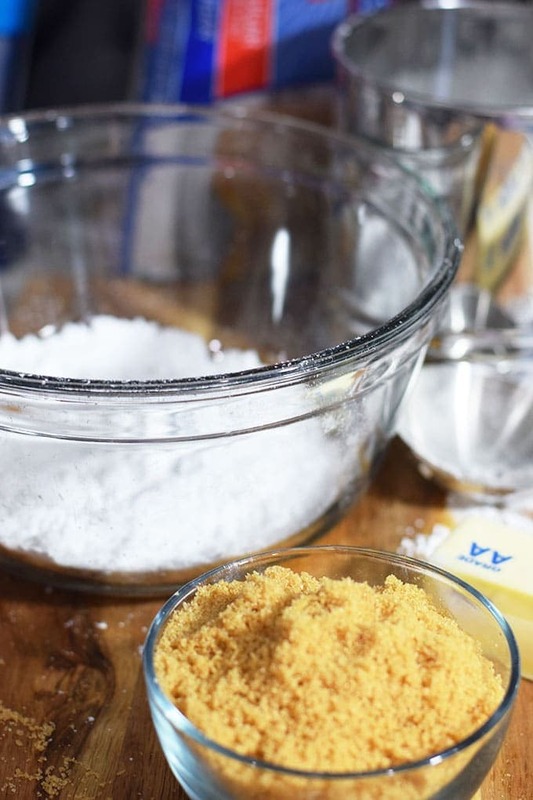 Her original recipe calls for 2 1/2 cups all purpose flour, 1/2 teaspoon salt, 1 teaspoon baking soda, and 2 teaspoons baking powder. Step 3. Spread into prepared 9 X 13 dish. Bake for about 40 to 50 minutes or until golden brown. Remove from oven and let cool as you start glaze. Step 1 for Glaze. 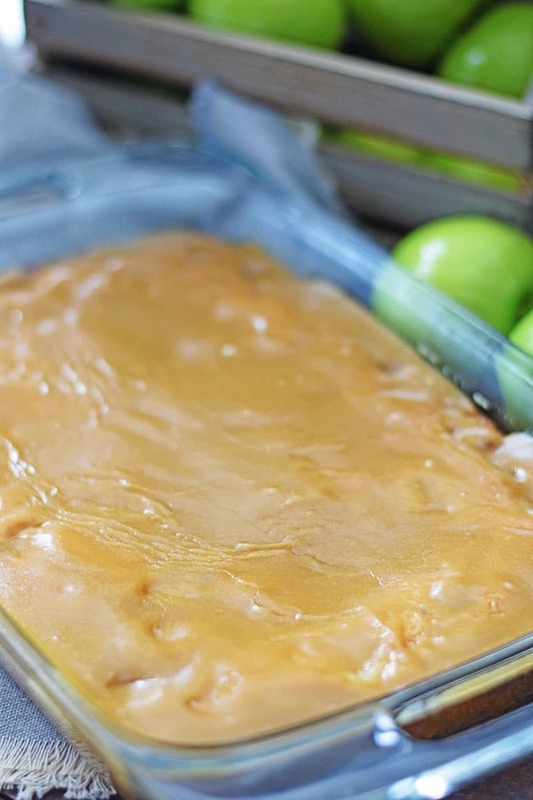 In a saucepan, over medium heat, while stirring add butter and brown sugar and cook until it dissolves. Add in powdered sugar and milk and stir until well combined and melted into glaze. Step 2 for Glaze. 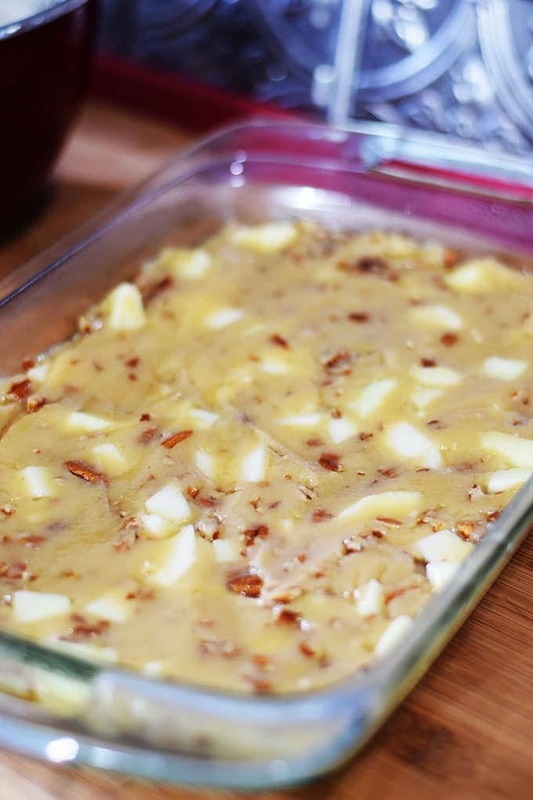 Immediately pour glaze over cake and serve warm. 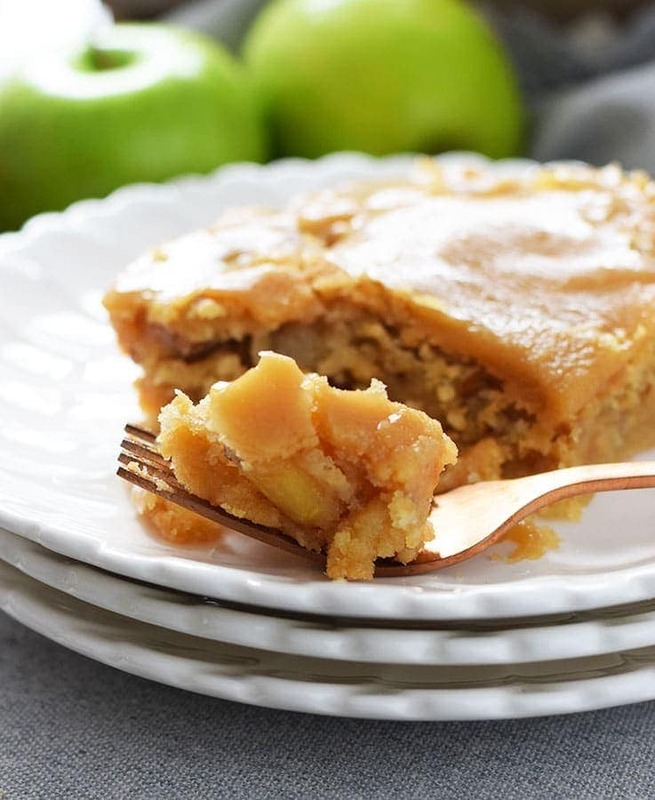 Make sure to share Fresh Apple Cake with Brown Sugar Glaze with someone you love! 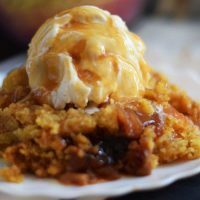 I truly believe recipes are meant to be shared. I am so glad the Carters shared this with me. Not only do I now have lifelong friends, I have cherished memories made around the table! You can also find this at Meal Plan Monday. I’m not a novice baker, but I’m on my second round of trying to make the glaze. The brown sugar won’t dissolve. I’ve followed the directions both times. The first time I went ahead and added the milk and powdered sugar and it turned into a stiff glob. Second time the I just stirred and cooked the butter and brown together as directed and brown sugar is still gritty. I decided not to waste any more powdered this time and will just look up another type of glaze to use on the cake, but would like to know if anyone else has had this issue, or if you can tell me what the problem might be. My brown sugar is fresh, so I know that’s not the problem. Thanks. Tanya, I am unsure of what may be happening. I have made this glaze several times and it turns out. Usually brown sugar will dissolve in butter on the stove top. This one is stumping me. Possibly your heat was too high? 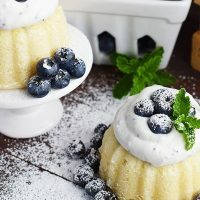 Does this cake need to be refrigerated, or stored covered on the counter top? I store it in the refrigerator but it does become quite moist. The person that shared the recipe with me says she stores it on the counter. Hi Nikki, I see you did not leave my original comment on lIne for others to see my problem with the bottom of the cake having too much liquid LEFT in the dish after baking. Do you leave only the favorable comments? Anyway, I halved the recipe except for the apples, I found that in a cake pan 8×8, 1/2 to 3/4 cup apples were plenty, (One would have been too much) I also baked it for 45 minutes then it sat for awhile. I then poured the brown sugar glaze over it and it was moist but no liquid in the bottom as before. It may do better if the temperature was raised to 350. I will try that next time. No I do add all comments, but I had an issue with site, so I will go back and see if I can get them added back in. My reply wasn’t there either. I am glad that you were able to get this to your liking! We enjoy this cake so much and I would hate for anyone to miss out on the deliciousness shared by such a great friend of mine. 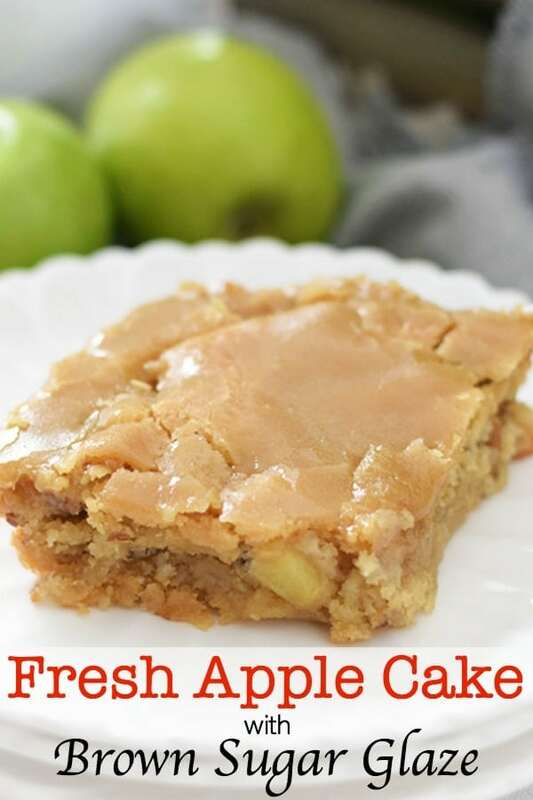 This sounds wonderful.. Is there a particular apple you use in the cake? Thank you. I am rating the cake just based on how wonderful it sounds and will come back to rate again once I have actually made it. Thank you Bernice! I will update the recipe to include. 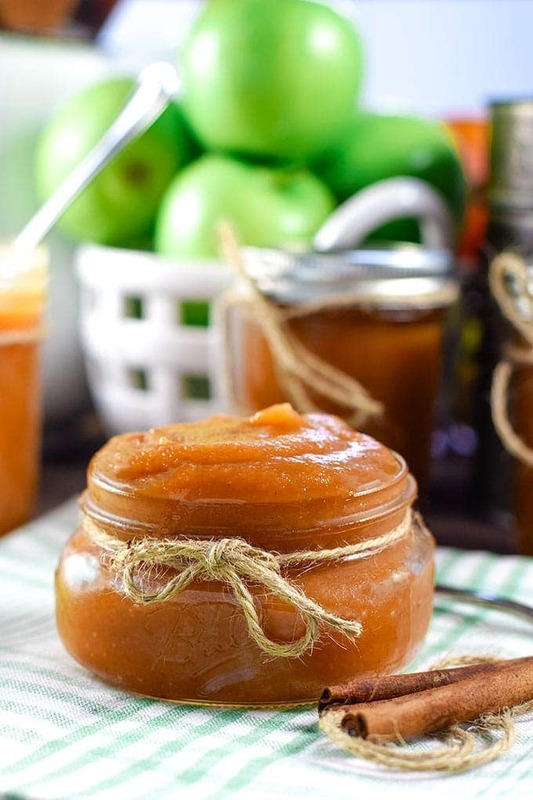 I use granny smith apples. 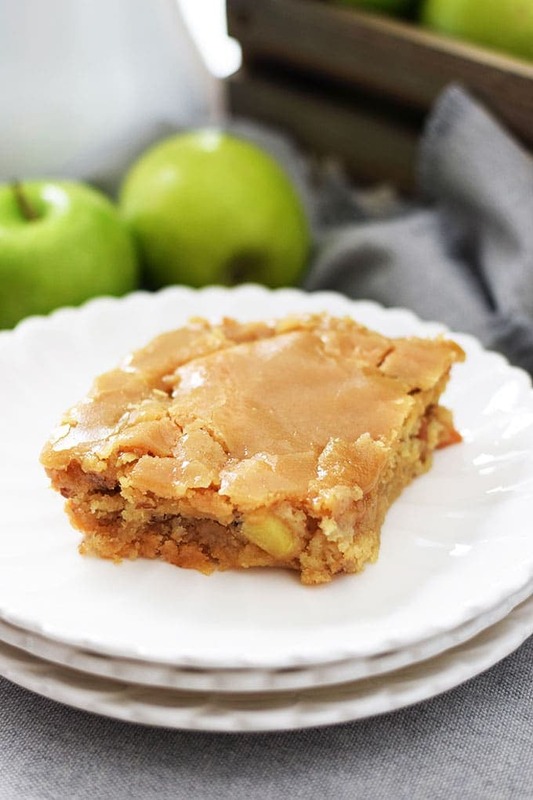 I like the tart apple with all the sweetness in the cake!